Government has promised poor and working-class students free higher education, but what are the alternatives for students next year? Angelique Ruzicka looks at what Nsfas and others have to offer. Ten months have passed since former president Jacob Zuma announced that government would subsidise higher education for poor and working class students. He defined poor and working-class students as “currently enrolled in Technical Vocational Education and Training (TVET) colleges or university students from South African households with a combined annual income of up to R350 000”. So what, if anything, has changed? And what can South African students do to ensure they can attend university next year? Last month, Nsfas called on all social grant beneficiaries who will be registering for the first time or continuing their studies at public universities and TVET colleges next year to apply for financial aid before November 30. According to an agreement between Nsfas and the department of social development, social grant beneficiaries don’t have to submit proof of income when they apply for student funding, which means that all prospective students who are receiving or have received any social grants (for example, care dependency grant, child support grant, foster child grant and disability grant) automatically qualify for Nsfas funding. Nsfas administrator Randall Carolissen said: “Students who are funded and have received payments from Nsfas for this year’s studies and will be continuing with their existing qualification next year are not required to reapply for funding. “Students are, however, encouraged to ensure that they sign their Nsfas agreement forms. "Prospective students from households with a combined income of R350 000 a year who will be registering at a public university or TVET college for the first time are eligible for funding and must apply now. 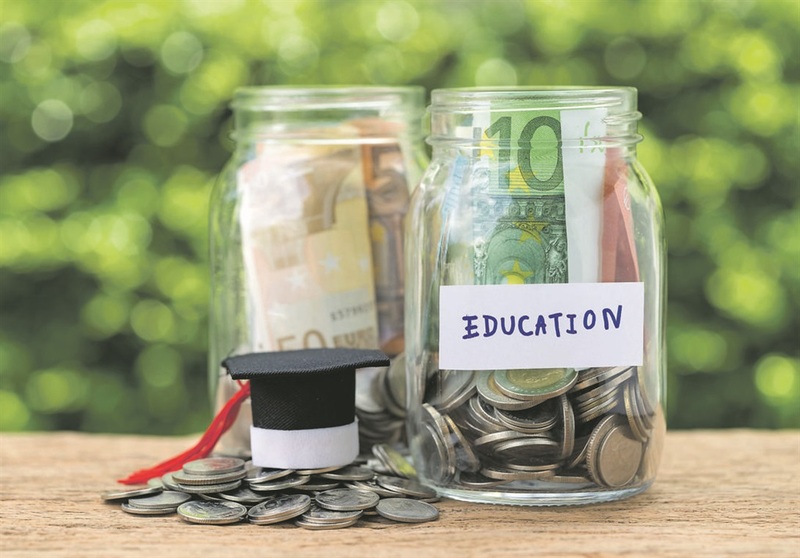 Students from households with a combined income of R350 000 a year who registered this year for their first qualification and were not funded this year are eligible for funding and must apply now,” Carolissen said. The downside is that Nsfas is notoriously bad at administering the funding. In August, Nsfas admitted that there were still nearly 75 000 students who had been granted funding for this year, but had still not received it. If you fail to get funding from Nsfas, you could approach the universities themselves for a loan or bursary. They should also provide funds for study-related costs such as fees, accommodation and books. Some universities, such as the University of Cape Town, offer gap funding, which is for students who are not eligible for Nsfas. There are many private and state-owned companies that offer bursaries to students in various specialist fields. BMW, for example, offers bursaries to those who want to study computer science, IT, technology and business management, while the department of finance offers bursaries for a number of fields of study, including economics, banking, auditing and taxation. There is no limit to the number of bursaries you can apply for, so it’s best to apply for as many as possible that align with your interests and would fulfil your needs. Take note of the closing dates of applications. If you are too late for the 2018/19 applications, take note of the dates for the following round. For a list of bursaries, go to bursaries-southafrica.co.za, bursarysouthafrica.co.za or gostudy.mobi. Student loans aren’t free – you’ll have to pay back the loan as well as the interest. They’re offered by all the major banks (Absa, FNB, Nedbank, Standard Bank), as well as credit providers like Fundi. These lenders will usually pay the study fees directly to the tertiary institution and the funds are then repayable by the student by way of salary deductions or a debit order. You will need to have someone sign surety if you apply for the loan, which means that person will step in and take over the loan repayments should you be unable to do so. Banks will also want you to have credit life insurance cover for your loan. Speak to your financial adviser to get the best kind of cover for your student loan. In the UK, an entrepreneurial couple looking to bring Indian chai tea to the English market rejected a £100 000 (R1.8 million) offer from multimillionaire Peter Jones on the TV show Dragons’ Den. Instead, they listed their business on crowdfunding platform Crowdcube and raised £300 000. Crowdfunding is not as sophisticated in South Africa as it is in the UK, but there are platforms such as Standard Bank-powered Feenix.org that could make raising money for your tertiary education possible. To date, the site, which services South African households that earn less than R600 000 a year, has seen 975 funders registered, 322 of whom received funding. A total of R18.3 million has been raised through the site.